What is the relationship between Presbyopia and Cataract? When we are young, the ability to focus at different distances is taken for granted. This ability comes from the lens inside the eye at the pupil just behind your iris. This is composed of a proteinaceous jelly with a thin outer coating called the capsule. The capsule is attached to a muscle at the edge of the iris that adjusts and changes the shape of the youthful lens to adjust focus. Over time, this lens gel “sets” or hardens gradually, diminishing the ability to change shape and vary the focus. This usually only becomes noticeable when we reach our 40s when reading glasses become necessary. This inability to focus is called presbyopia. Presbyopia is the reason that reading glasses or bifocals are required as we age. This hardening process continues until the lens gel sets to become as hard as concrete and we call this a cataract. Just as you can’t see through concrete, the cataract progressively obscures vision as it hardens. Eventually only light and dark can be distinguished if not fixed, although this is rare to be so neglected in Australia. When a cataract develops, the old natural lens inside the eye can be replaced with an artificial plastic lens to regain vision clarity. Today, patients are increasingly undergoing cataract lens replacement surgery earlier in life, and the procedure has become an extremely rapid and refined process with tiny 2.0 mm incisions, quick recoveries, and typically, great visual outcomes. Those without cataracts are also demanding this technology now, rather than waiting until cataracts develop in their 60s to 80s. Lens implantation has been available and performed regularly for over 50 years. So the technology and surgical techniques have been honed over that period to reach high levels of sophistication and predictability. For well over a decade now, surgeons have been able to offer presbyopia-correcting intraocular lenses (IOLs), and with them, the option of spectacle independence for older people. Multifocality, by its nature, is an optical compromise compared to normal youthful vigour. The trade-off of two or more focal points on the retina is various optical phenomena, such as halo and glare. Until recently, multifocality meant bifocal vision with light energy primarily directed to near and distance focal points. Most bifocal IOLs typically deliver excellent near and distance vision – but at the expense of more intermediate vision such as seeing computer screens. So the challenge when designing a better multifocal IOL is to provide more continuous vision over near, intermediate and distance, with minimal visual aberrations, and with the greatest amount of light reaching the retina for optimal contrast sensitivity. In August of 2015, Dr Phil McGeorge, FRACS FRANZCO, Principal Ophthalmic Surgeon at Perth Laser Vision, implanted the first Alcon AcrySof® IQ PanOptix™ IOL in the Asia-Pacific region into a patient after its world-wide release. The PanOptix™ IOL is Alcon’s latest multifocal IOL, a trifocal lens that features an innovative optical technology designed to help patients adjust more naturally to their new vision. It does this in part by providing a comfortable range of near to intermediate vision (35 – 70 cm) with a crisp focal point at 40 and 60 cm, and by optimizing the transmission of light to the retina. Since its launch, PanOptix™ has been adopted by leading surgeons worldwide. Studies now show 95% of patients reported spectacle independence at all distances with this lens implant. Provides better vision for near, intermediate and far distances. Filters harmful UV and blue light. It’s a huge evolutionary step. This surgery, reducing the need for reading glasses after cataract or lens removal without compromising distance vision, has been a goal of ophthalmology for many years. Until recently, the vast majority of patients who undergo cataract eye laser surgery received a single-vision lens implant, which typically requires them to carry around reading glasses, so they can read their phone, a newspaper, menu or medicine bottle, or do other things that require close vision. Traditional lens implants have been spherical, producing some peripheral distortion. AcrySof IQ PanOptix lens is slightly flatter in the periphery and has been designed to provide sharper focus and better contrast. The AcrySof IQ PanOptix lens is a permanent artificial lens used to replace the natural lens during cataract lens replacement surgery. The PanOptix lens is made of a soft plastic. It is folded and inserted into the eye through a tiny incision only 2 mm across. After insertion, the lens gently unfolds to restore vision. The supporting arms of the lens maintain proper positioning within the eye. Standard monofocal Intra-Ocular Lenses (IOL’s) allow good vision without glasses for one distance only, usually for distance alone. Glasses are still needed for near vision and reading. Sometimes the lenses can be set with one eye for distance and one eye for reading but less than 25% of patients find vision is satisfactory enough to be spectacle free with that method, 75% still need to wear glasses. PanOptix™ is actually a quadfocal lens manipulated to act as a trifocal one. In essence, the quadrifocal design is modified so that the extended intermediate focal point (at 120 cm) is redistributed to the distance focal point for amplified performance at distance. Alcon calls this innovative diffractive lens design ENLIGHTEN™ (ENhanced LIGHT ENergy), and it results in the creation of three foci; at distance, an intermediate at 60 cm, and near at 40 cm. Measured at a 3 mm pupil diameter, PanOptix™ transmits 88% of light to the retina, which is higher than other traditional trifocal multifocal IOLs, like FineVision (PhysIOL) and the AT LISA tri 839 (Zeiss). Some practical examples of the importance of the 60 cm distance (arm’s length) in daily life include cooking, taking food from the fridge, and using a computer. PanOptix™, uniquely, provides a 60 cm intermediate focal point. There are a number of presbyopia-correcting IOLs available on the market today, each with unique optical properties. In the absence of published comparative, controlled clinical trials, it’s hard to understand how these IOLs perform against each other. 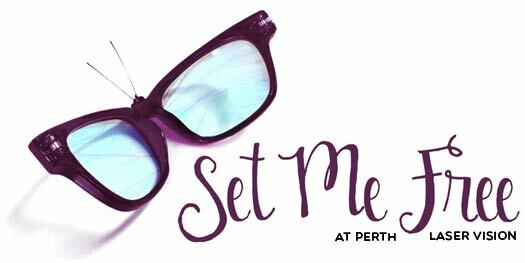 Fortunately, the surgeons at Perth Laser Vision perform large numbers of cataract procedures per month, and have clinical experience with the most implanted presbyopia-correcting IOLs: PanOptix™, AT LISA tri, FineVision Tri and Tecnis Symfony.